Many musicians know that they need some protection for their band name, but are confused as to what type. In fact, musicians often ask me, “Do I need to copyright my band name?” Copyright, however, is a protection for creative works: compositions, recordings, films, artwork, merchandise designs, etc. 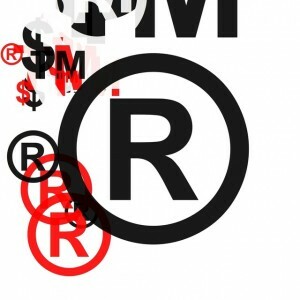 Trademarks and servicemarks are what distinguish and identify sources of goods and services. In the case of band names, a trademark for a specific band name reflects back to what that band provides – a certain type of music, an image, a feeling or community for its fans. For example, Van Halen and Aerosmith are both registered trademarks with the United States Patent and Trademark Office. They’re also both classic rock bands from the same time period, but a music listener knows he or she will be getting a different kind of music, feeling, image, etc. from each of those bands. As a non-music example, Coca-Cola and Pepsi are both brown-colored sodas, but a consumer knows that these two drinks and the expectations associated with them are different. Whether you’ve already registered your band name or think you might register it in the near future, it’s important to understand the basics of trademark infringement lawsuits to avoid potential conflicts. Here are the three ways to prove an infringement on your band name – and to determine whether you’re infringing on someone else’s. The plaintiff (the person bringing the lawsuit) must show that he or she owns the trademark that’s allegedly being infringed. A plaintiff is required to have a federal trademark registration in order to sue in federal court, and showing the federal registration creates a presumption of valid trademark ownership, although this presumption can be rebutted. Things start to get trickier when there are unregistered marks involved, bringing up common law state issues as well as examination of the prior uses of the marks. The proof required here is similar to that explained in the previous point. Someone with a federally registered trademark has a legal presumption that his or her mark is senior to the allegedly infringing mark, and that they therefore have priority of and exclusive rights to the mark in question. Again, this can be rebutted and can be complicated by unregistered marks and/or other issues. Likelihood of confusion is the real meat of a trademark dispute. Basically, the court will compare the two trademarks to see if their similarity would be confusing to a consumer, and thus harmful to the senior mark. In relation to bands, it would depend on whether the two band names would cause confusion about which band is which. A court will look at the strength of the mark used in commerce first. Again, we can use Aerosmith as an example. The word “Aerosmith” doesn’t have any real meaning in the dictionary and is also not likely to be commonly associated with rock music; therefore, the name “Aerosmith” is very distinctive in identifying the band. This is much stronger than something like “Steven’s Band” or “Joe’s Rockin’ Band,” which could be applied to any musicians named Steven or Joe. This one is fairly self-explanatory, but the court will look at the degree of similarity between the two names. Aspects like whether the names sound or are spelled similarly, as well as whether the names might look the same or have similar meanings, are all considered. This factor will look at what’s being offered by the mark owner. In the case of music, both bands would be offering music. To look more specifically, both bands could be offering rock music, or alternatively one might play death metal and one children’s music. If only one party is a band, maybe that party plays rock music while the other party offers clothing or high-end power tools. A court will look at how both names or brands are being marketed and whether they are to the same audience. This factor looks at the physical proximity (location) in which the two goods or services are sold. Using the example above, let’s say the two marks in dispute are the maker of power tools and a band. Power tools will be sold at a hardware store, whereas CDs will be sold at a music store, making their physical proximity farther apart and confusion less likely. However, two bands with similar names would both be sold in music stores, making confusion between the two marks more likely. Again, let’s stick with the same example. If a band comes along with a similar name to a power tool company, less confusion would be evident if the band sticks to only making music and not offering power tools as part of their merchandise items. However, if the senior user is a clothing brand, it’s probably very likely the band will want to sell T-shirts or other apparel at their concerts and on their website, making the likelihood of confusion between the two marks stronger. People confusing one band’s album for another or buying tickets to one band’s concert thinking they were going to see the other band would be examples of actual confusion. Evidence of someone actually confusing the two marks isn’t required, but it may be compelling to show that there is actual confusion. Did the junior user adopt his or her mark with good intentions because he or she really felt it was the right name for the band, or did he or she do it purposely to try and ride the coattails of the other band’s fame or to purposely confuse consumers? Trying to profit off of another band or brand’s established mark will not work in the junior user’s favor. This looks at how much care a consumer will take before making the decision to purchase the goods or services. For example, someone buying a $2 million airplane would probably put a lot more care into his decision than someone buying a bag of potato chips. A court will look at how much care fans will take in selecting purchases from a band. These are some of the basic principles to consider so your band name doesn’t conflict with another band or brand name, or if you feel that someone may be infringing on your trademark. All trademark registrations should be handled by an experienced attorney or a service like Indie Artist Resource. All potential or actual trademark infringement suits should be handled by an experienced litigator. aerosmith, band name, conflict, confusion, copies, junior, likelihood of confusion, priority, senior, stolen, trademark, van halen. Bookmark.